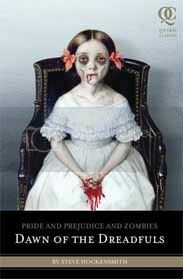 The prequel to 'Pride and Prejudice and Zombies' is out this month! I've read 'P & P & Z' - it was amusing, but a bit of a novelty. It seems the prequel will explain the history of the Bennett sisters (their ninja training and such), but it will not follow Jane Austen's prose style. I'm in!